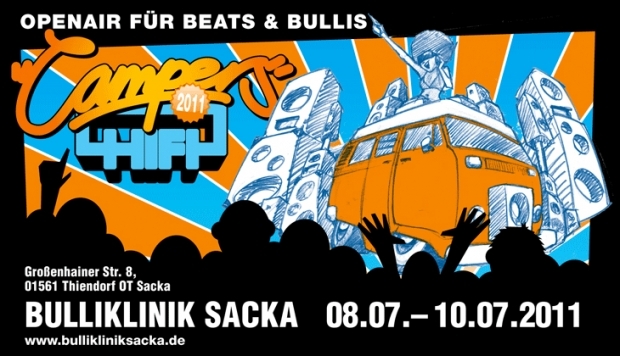 "Campers HIFI" is based in the East of Germany near Dresden on the weekend 8th - 10th of July 2011. It will take place directly in our workshop Bulliklinik Sacka, D-01516 Thiendorf OT Sacka, Großenhainer Str. 8, Germany. There is lots of space for free camping. We invited very nice Reggae and Rocksteady bands, do a family entertainmentprogramm and a lot of good cars will come to this festival of course.